Barker Labs Facial Hair Scissors for Nose and Ear Hair Trimming are very nicely made scissors that we have found many uses for. 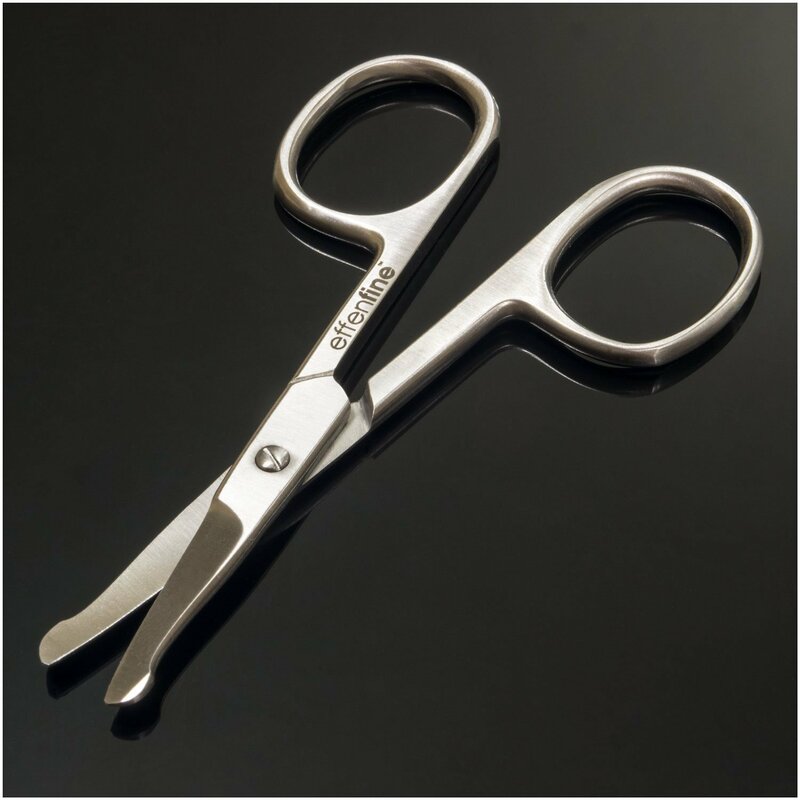 These scissors are hand made with forged German Stainless Steel. They have a well rounded safety tip to prevent jabbing or stabbing. The finger rings are quite large, which means that any of us can use them comfortably. The cutting edges curve away from the skin to make it easy to cut closely. With the lifetime guarantee, they are a great addition to personal care items. But I found them even more useful for another application, my dog grooming. These scissors are well balanced, sharp, and cut cleanly. I use them on all of the dogs and like that they are safe when I am trimming around their faces and on their feet. They seem to stay sharp, even after many uses. These scissors work well on dogs, so I believe they would work as well or better on people. I highly recommend trying them!